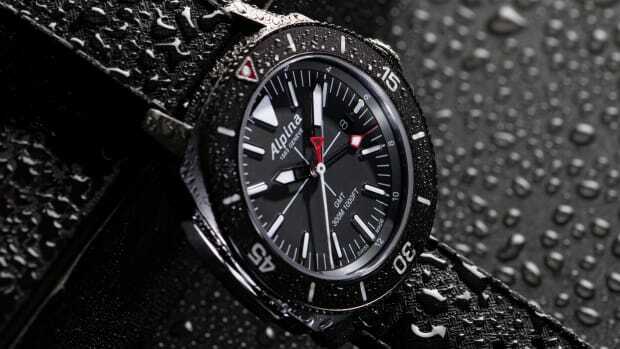 A GMT built by an all-star team of American craftsmen. 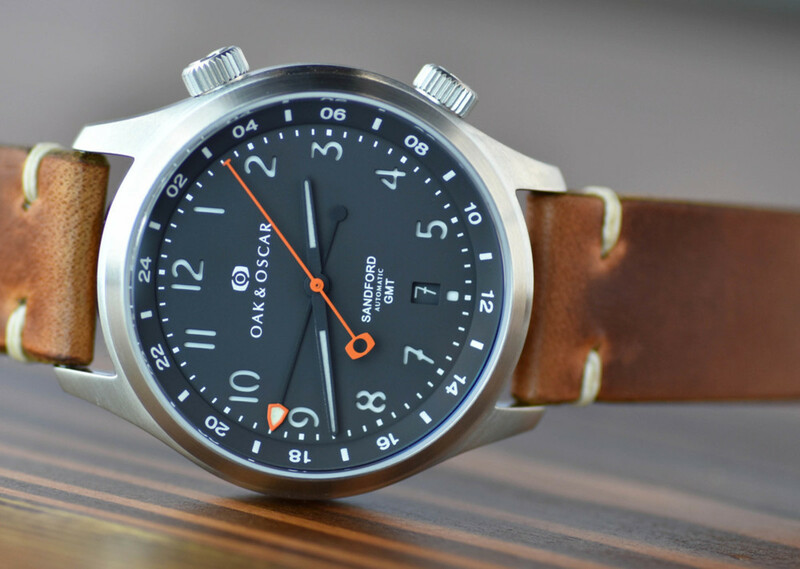 Independent watchmaker Oak & Oscar has rounded up its all-star team of craftsmen for its latest watch, the Sandford. The Sandford is a limited edition GMT featuring a 40mm case that comes in stainless steel or a charcoal-colored PVD. 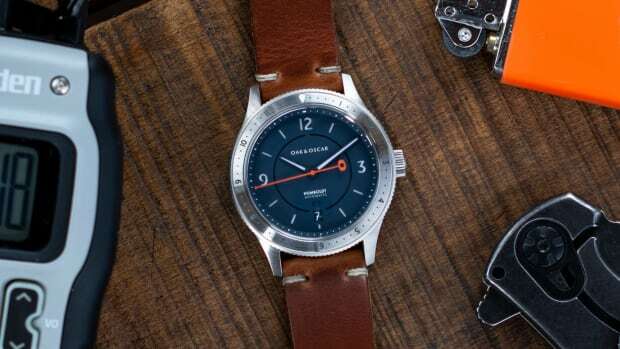 Other features include a Soprod C125 automatic, dual crowns with internal rotating bezel, double-domed sapphire, Super-LumiNova BGW9 markers, and straps from Crown & Buckle and watch case from Defy Mfg Co. 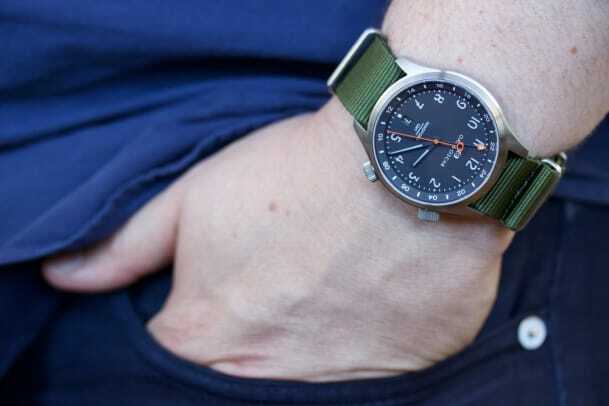 The watch is assembled in the US by Lum-Tec and will be limited to 200 pieces in stainless steel and 100 pieces in PVD. A new GMT addition for its Seastrong Diver collection. 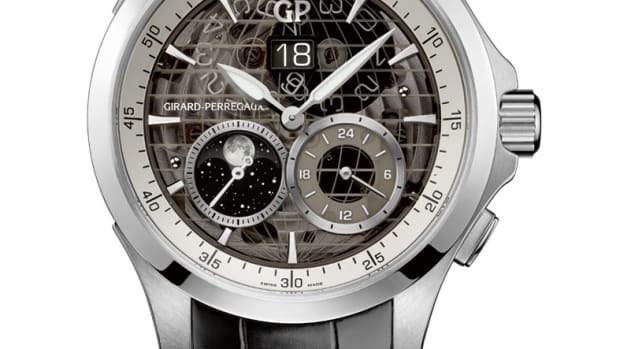 A stunning travel watch with a transparent sapphire dial. A refined take on the travel watch.